I didn’t admit it out loud, but one of my plans last summer was to appear on Ohdeedoh. 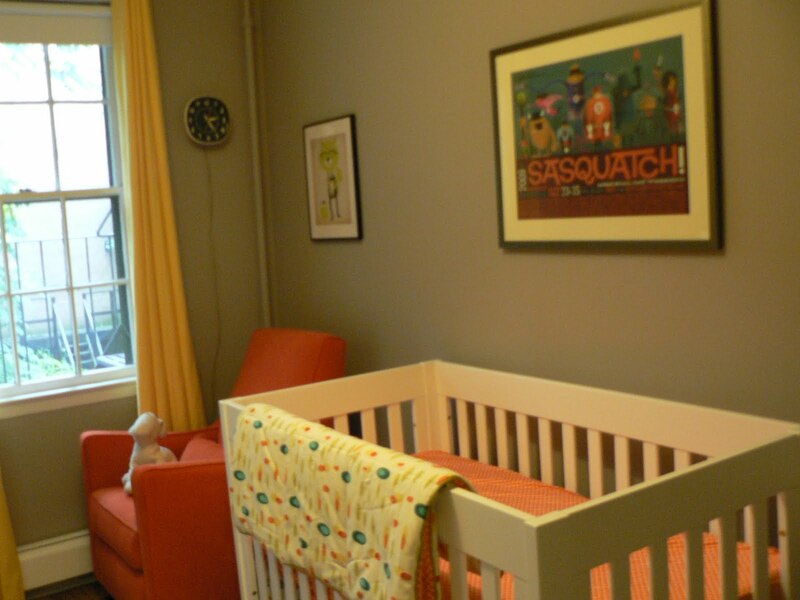 To me, Ohdeedoh is the holy grail of nursery design websites. Started by the folks who run Apartment Therapy, the ultimate interior design site for urban dwellers of small spaces, this is a veritable repository for aging hipster parents like myself. Amidst all the craziness of a full-time job and an 8 month old bun in the oven, I got myself an interview and sent in my photos. About a week later, and a few weeks earlier than expected, baby Daley arrived – making the ‘room to be’ a ‘room proper’ sooner than we’d imagined. See the link here. So how has the room held up since? Fairly well so far. The Walmart dresser drawers aren’t always cooperating (a review of dressers to come shortly), but boy, am I glad for the storage. All the diaper/changing stuff is in the top drawer under the changing pad, which is great. As imagined, the toy shelves are getting increasingly crowded. One thing I learned is that it’s never wrong to overestimate storage space. And that Sasquatch poster still rocks, if I do say so myself.